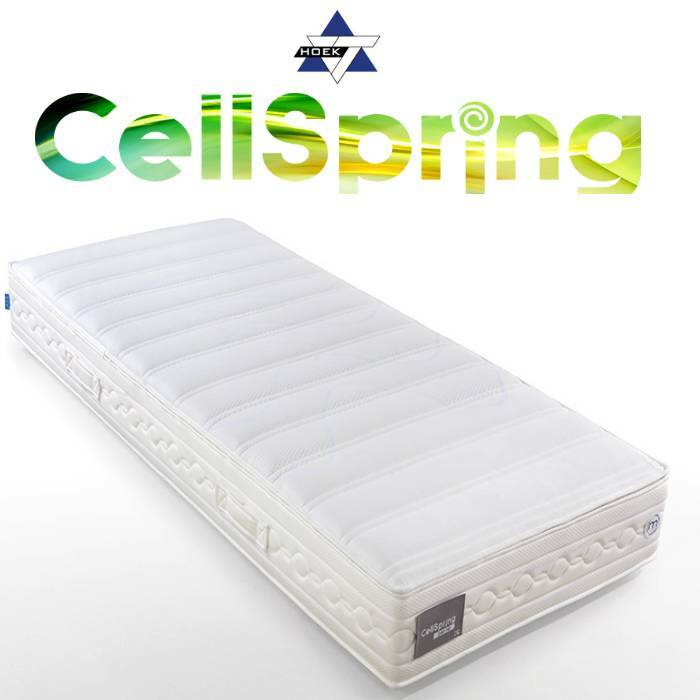 Cellspring 4545 mattresses are HR45 memory foam mattresses with individually arranged cylindrical springs. With Airvent fabric and 7 zones. Cellspring 4545 mattresses are HR45 memory foam mattresses with individually arranged cylindrical springs. 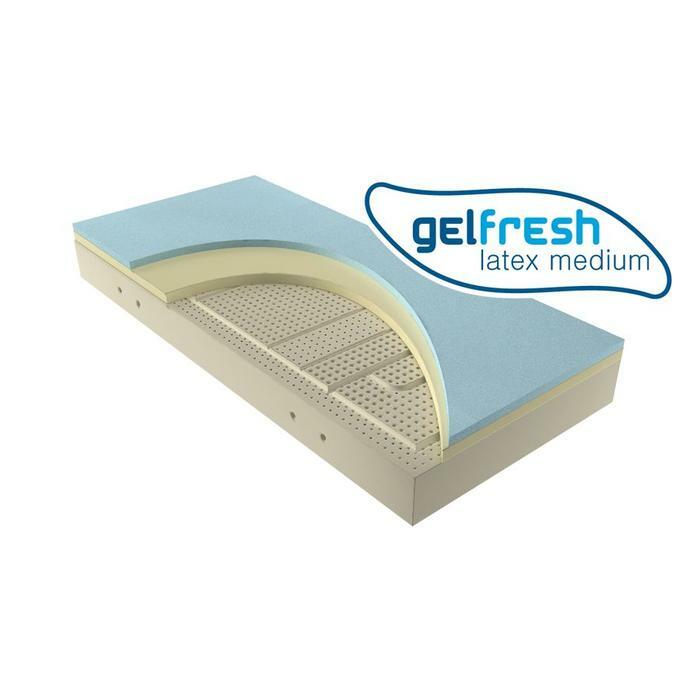 With Airvent fabric and 7 zones. The independent action of each spring ensures that your body is supported in every position during sleep. The 4545 is available with four covering materials. 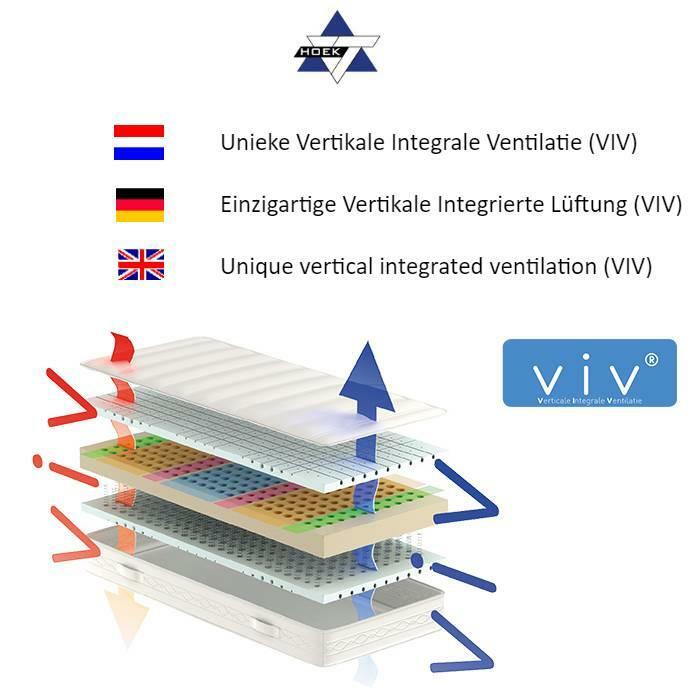 With smart Vertically Integrated Ventilation System (VIV). The ventilation ducts go through the whole mattress. The natural twisting and turning which we do at night creates a active airflow. The springs in the mattress have different wire thicknesses depending on the comfort zone. 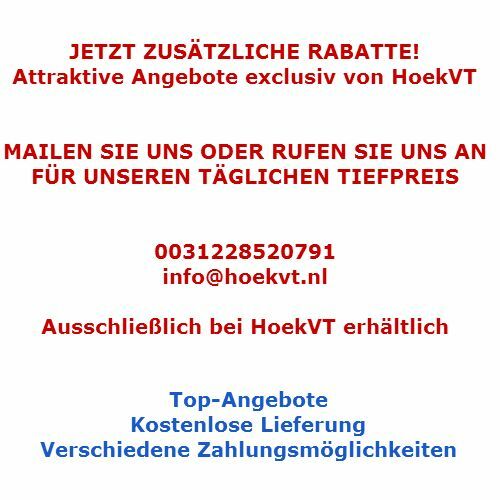 It depends on the mattress which wire thickness is integrated. Soft, Medium and Firm. 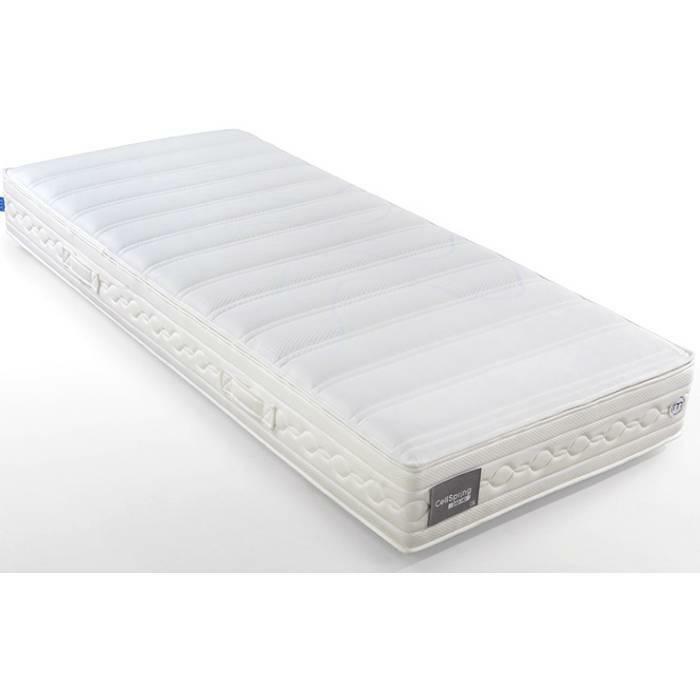 The mattress is suitable for adjustable and flat bottoms. 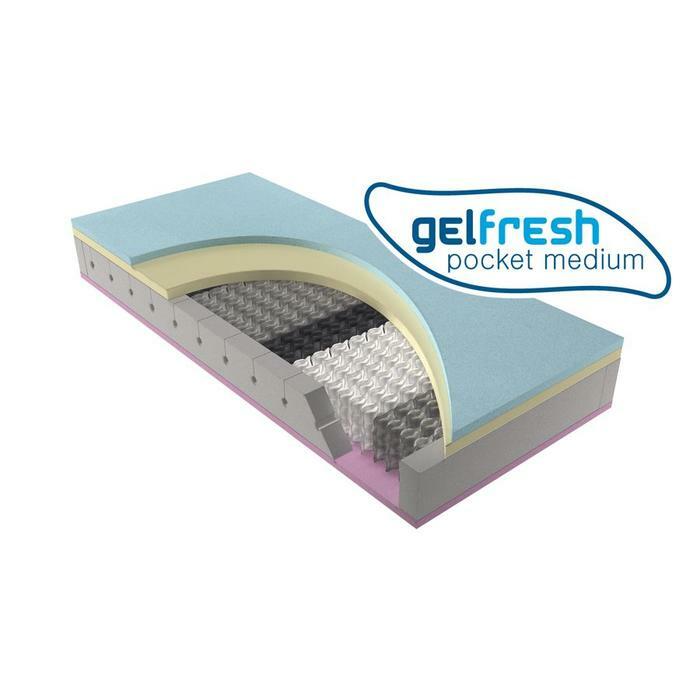 In a pocket spring mattress moisture is transported quickly and efficiently. During the summer you keep cool thanks to the good air circulation. Cover can be washed.